Happy to see chingus here. Reading all your thoughts. Same as everyone, I'm watching. but...JTLYK... KBSWorld showing this drama and same as I did for the first one, I'm following though via telly. Are we waiting for romance or what? What makes MQ good to watch is it's nothing heavy to ponder, and it's entertaining. The fact that we've been watching mnany kdramas, we can sense which ones will be good. We know which good dramas to watch to suit our preferences. The cast of “Mystery Queen Season 2” appear to be quite friendly with each other! 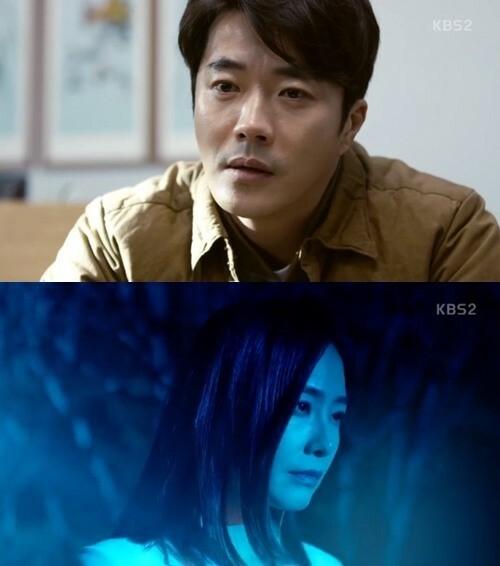 On March 2, the cast of the drama appeared on KBS’s “Entertainment Weekly” where Kwon Sang Woo, Choi Kang Hee, Lee Da Hee, Park Byung Eun, and Kim Hyun Sook, took part in an interview. During the interview, Choi Kang Hee revealed that she had saved her co-star Kwon Sang Woo’s number in her phone number a particular name. She shared, “I saved him as ‘the best partner in my life.’ I saved it before we started filming, so that it would actually be that way.” Park Byung Eun then asked her, “What did you save me under?” to which she replied, “Just Park Byung Eun,” which made the entire cast laugh. “Mystery Queen 2” airs every Wednesday and Thursday at 10 p.m. KST. 4. [+1105, -35] As expected, my eyes weren't mistaken ㅋ I was sure that I saw Hong Soo Hyung but when I searched for her It didn't show up in her filmography and there was no article about it. What's her agency doing? 2. [+914, -12] I want to beat the team leader and his team. I hope Kwon Sang Woo and Choi Gang Hee bite them back! 4. [+621, -17] Wa what's wrong with Oh Min Suk, It is so annoying...I used to like this actor but I hated him after watching 'The King in Love' and now 'Queen of Mystery', I don't know what happened between them but will they keep poking each other every time? Had just watched episode 1 & 2. I missed this delightful pair. Loved the first season. In fact, I had just finished rewatching it to prepare for the new season So glad that they decided to make a second season. Yes episode one has romance, but it's more of a will-they-won't-they kinda feel, and the push and pull reminds me why I'm routing for this couple. Don't know what happened to the ring though. Seems like a misunderstanding, and a really bad one, that HWS decided to move away. He's also convinced that SO took the ring, but as shown in SO's flashback, the ring was on someone else's finger. Ha, don't know what happened there but I'm sure it will be addressed soon enough. Had a niggling feeling that the cakeshop owner is suspicious. And I get the feeling she's interested in HWS and his relationship with SO. Will she turn out to be an antagonist? Or is she a substitute friend for SO now that Kyung Mi is not around? Well we'll see! Happy watching people. I will be lurking around haha. Queen of Mystery Live recap coming up in 3 minutes! Whoo hoo! It does look like the past few ep. were a PSA for fire safety. If that Ahjumma survives (hopefully she does) Wonjae won't be charged for murder. But he'll get juvenile detention at least? Now I'll never understand this on K-Drama/Asian Dramas the characters never moves out of the way when danger strikes. They just stand there like frozen when a truck/motorcycle/car comes! In this case the Ahjumma didn't budge when the bottle was thrown like WHY??!! I have a question: who was the woman that was found burned in a car in episode 3? It is the case that the profiler seems to investigate. Forgive this last thought but I just loved when SO cleaned those little shoes, dang it just made me love her as a character even more!!!! I noticed in alot of kdrama's that promise of Hope isn't always there when a horrible wrong has been committed. That family wasn't really happy and you can tell the son was tired of seeing his parents fight. He was followin gin his father's footsteps in being condescending and arrogant. But SW picked up on the fact that he was crushing on the the girl. He would always go there even thought his parents thought they were better than them. He really liked her and to see the his crush wanting revenge on the person who harmed her mother. One of the reason he didn't feel bad is because of his parents attitude towards what he did. Since they didn't feel bad he didn't realize that what he did was wrong. Like for example when he himslef witnessed his classroom on fire and become fixated by what he see. After what happened all his classmates should have gotten treatment instead of going about his life like nothing ever happened. @USAFarmgirl @UnniSarah Since you started posting, I decided to write myself something. I liked the way the story with WJ was resolved. To me, it wasn't too abrupt. Being confronted with a relative of the victim made him realize his wrongdoings. Even our heroine had realized that the boy hadn't entirely grasped the situation, when she was on the rooftop. She saw that people looked like ants. I agree with your analysis about the parents. If WJ became like that, it was because of his parents who saw themselves superior to others but never showed any affection towards him. They were quite cold towards anyone. Moreover, it was interesting to see that another solution than jail or institution was proposed. By the way, I have the impression that the burnt corpse could be the woman who wanted to meet HWS: she had the same name of the ex-girlfriend. On the other hand, I feel that JHY could be the real ex-girlfriend or could be related to her. She seems to know HWS and she definitely wants to date him. JHY could be targeting the law firm of HWS's father. Notice that she hired someone who works for Mr. Kim, an enemy of M. Han.